From all over the world, they come and place their locks of love. Every lock is of a different shape, size and colour. And yet they all symbolize the one thing. The one thing that is universal in all of us. . . . . Love. 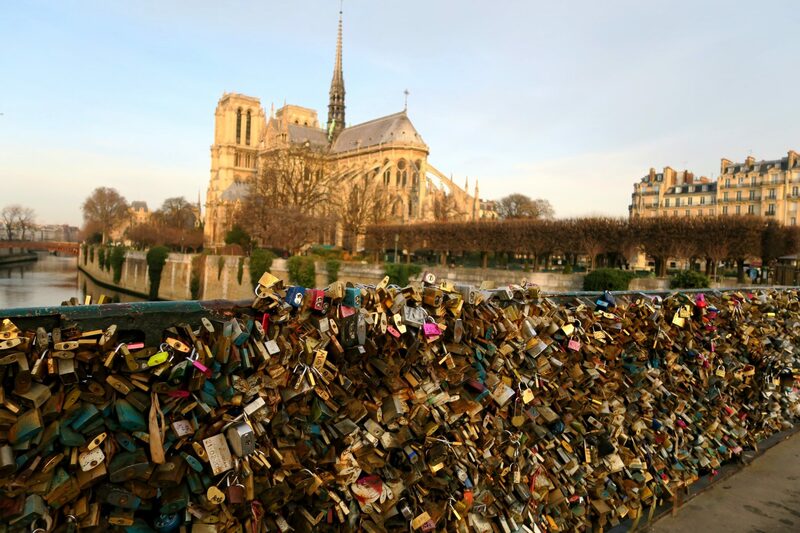 Love locks on Pont de l’Archevêché, the narrowest bridge in Paris, possibly the last remaining location for them in Paris after the removal of all locks from Pont des Arts. Most interesting. I’m glad you posted this. I sometimes wonder who started it but I can imagine what they mean when they say the weight is a problem for the structural integrity of the bridge.